The Maine Line is a worsted wool yarn long a favorite in the commercial sweater market. 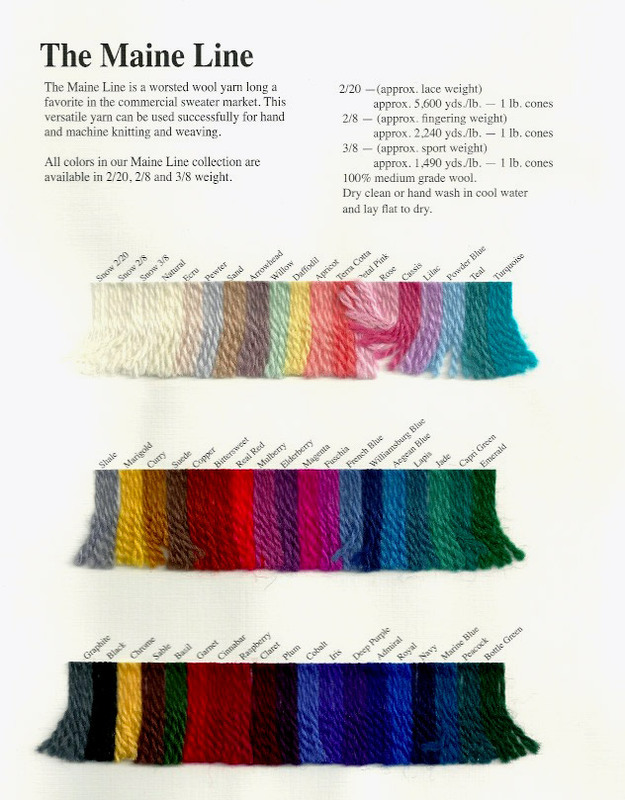 This versatile yarn can be used successfully for hand and machine knitting and weaving. Dry clean or hand wash in cool water and lay flat to dry.